It’s been a hot min. since I’ve posted. I’ve been taking a care of a few important tech issues in the backend of my website so B&C can run smoother, faster, and be overall better for my readers! Priorities, ya know? It’s also been another hot min. since I’ve shared FOOD on here. Yesterday I put up a big grocery haul on my Instagram story to show you guys how I’m trying my best to be healthy. The random 70 degree days in February gave me a little wake up call that Spring is coming and I no longer will be able to live in leggings and oversized tops. So I pretty much spent my Friday in the kitchen. Exciting, right? But actually it’s pretty exciting to me! Cooking is therapeutic for me. 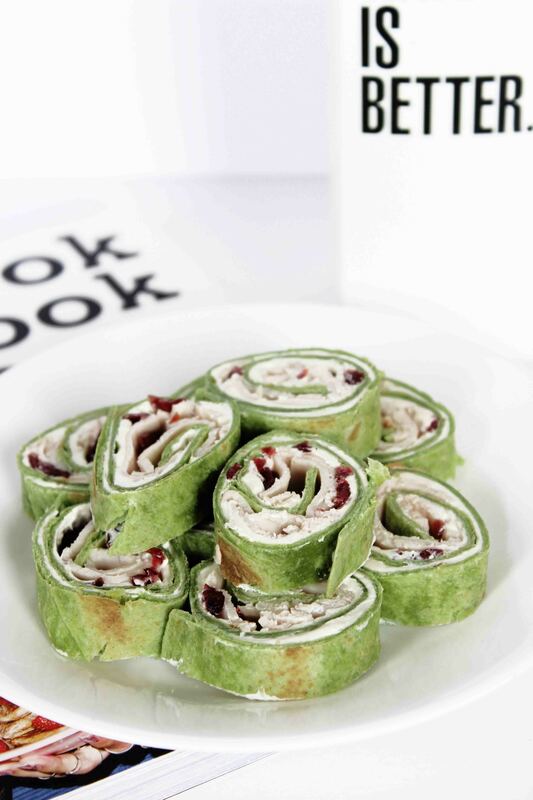 But how fun are these turkey pinwheels? I use the phrase “1, 2, 3” because they actually take 5 seconds to make! 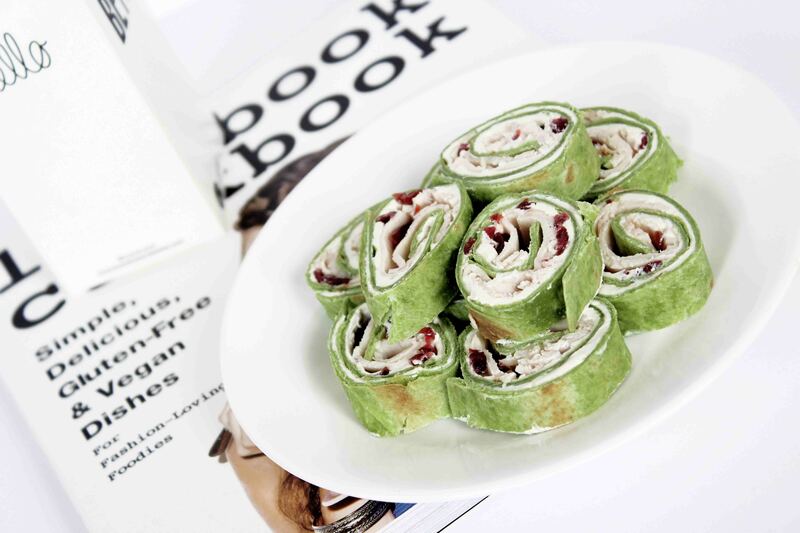 Take one spinach wrap and spread a thin, even layer of neufchâtel cheese on the entire wrap so that it touches the edges. On just half of the wrap, sprinkle raisins then place 2 layers of turkey. Roll from the “toppings” side to the neufchâtel cheese only side. Slice into pinwheels. Chill for 20 minutes. 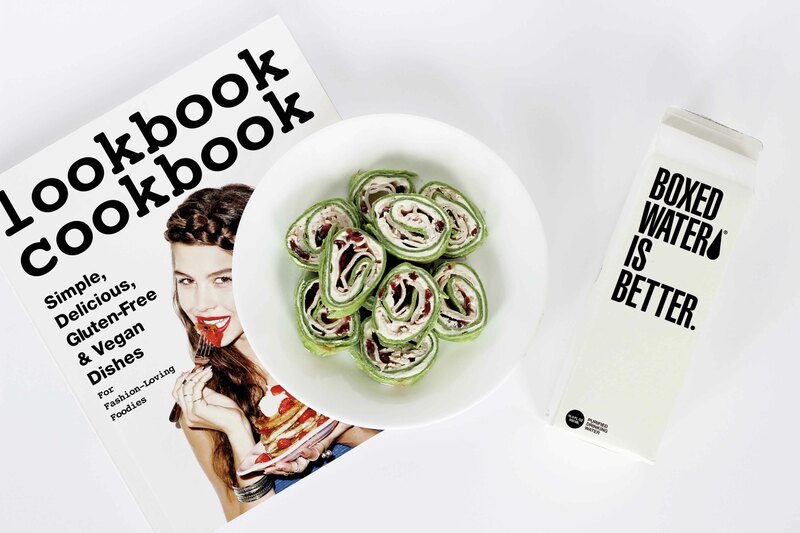 You could probably get pretty creative with these and use all kinds of ingredients. Some additional ideas of mine: shredded chicken + hot sauce and bacon + chives. These are great for a party because you can make them beforehand. The longer they chill, the better! Stay tuned for new beauty and wellness posts and I’m shooting with my girl Lex tomorrow for some winter-fall transition looks!